A month ago I had the great pleasure of meeting a local gal (Danville, IN), Cindy Wright, who is the creator of Pattern Patti. Through my door came a spirited woman with an arm load of sewn goods too cute for words. Cindy is a pattern maker whose directions are concise, easy to follow, thorough, well written, illustrated, and just plain fun. Pattern Patti is a cute, current pattern outfit tailored toward young mothers, new sewists, and the crafty inclined. 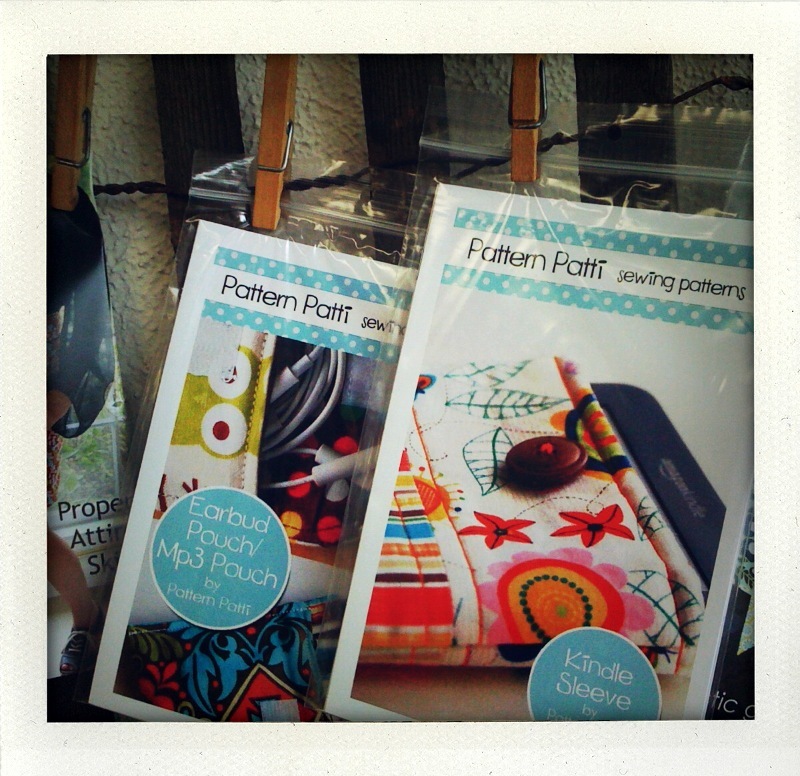 We are pleased to join forces with Pattern Patti and to offer several sewing classes taught by the pattern maker herself. Welcome aboard, Cindy! We like your style. We like your work. We’re glad to be new friends! Check out the new course offering on October 7th at our grand opening celebration. RSVP here! Feel free to bring along your friends! !